Also in the mix today is a track from Zimbabwean-born guiatarist Louis Mhlanga's solo album World Traveller. In amongst the South African "cool jazz" tracks are some great collaborations including today's track that features Orchestra Baobab. The Arabian legend of the baobab is that "the devil plucked up the baobab, thrust its branches into the earth and left its roots in the air". Oh thanks, I like Ochsetre Baobab. I just have 5 cds from them. 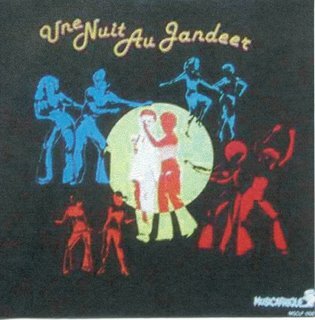 When the music changed begin 70's from afrocuban to mbalax, the band came into oblivion. I grew up in eastern Africa and the legend there states that baobabs used to walk around a lot. Eventually some great spirit got sick of their peregrinations and turned them upside down so they'd have to stay put. 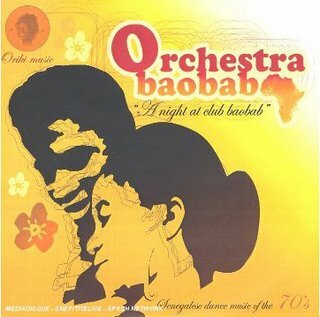 thx:) had this one, and was askig myself who wad playing in this mighty club... so it's baobab, all clears up.